The January / February issue of ICCM features the first in a series of articles that takes a closer look at each of India’s regions. 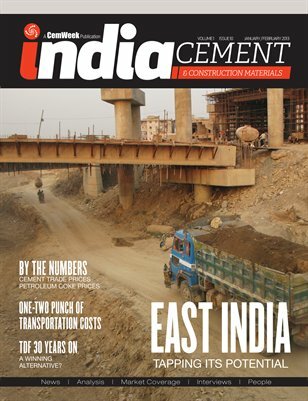 This issue also includes an interview with Ambiat Capital’s infrastructure analyst, Nitin Bhasin, who shares his thoughts on the current state of India’s cement market. Tire derived fuels and how far this alternative fuel source has come with regard to usage, and what potential roadblocks it is encountering today is also covered.